A tourist has died in the Caribbean country of Sint Maarten after she was blown away by winds from the engines of a passenger plane, police say. The country’s airport is a popular tourist attraction because its runway is close to the beach. As the Boeing 737-800 fired up its engines, a 57-year-old woman from New Zealand was blown away by the force of the winds, causing her head to smash into concrete. The woman was critically injured and rushed to Sint Maarten Medical Center, where she died of her injuries, local police said. The incident appeared to be similar to an incident in 2012, when a woman suffered minor injuries when she hit her head after being blown away by jet blast. That incident was captured on video and uploaded to YouTube, where it was viewed more than 8.6 million times. 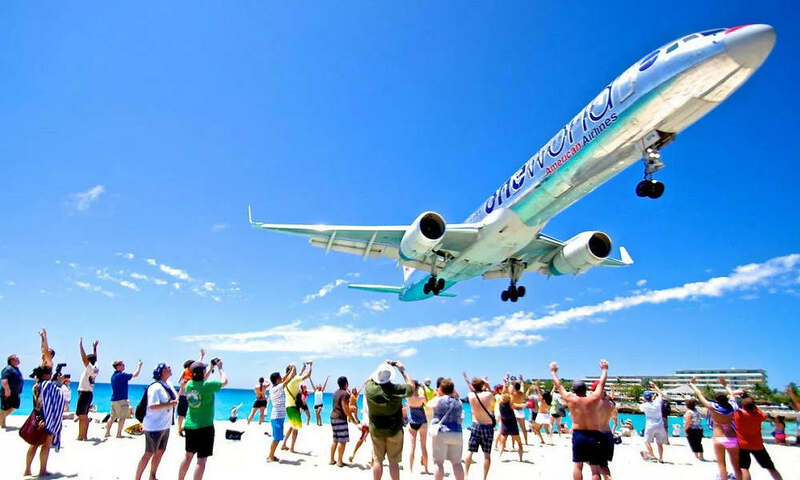 The airport in Sint Maarten is one of only a few places in the world where people can experience the winds of departing planes or stand on the beach as planes fly directly overhead at an altitude of less than 100 feet (30 meters), making it a popular destination for tourists and plane spotters. Nonetheless, “danger” signs are posted near the fence, warning people that jet blast can cause “extreme bodily harm and/or death.” Police officers routinely visit Maho Beach during the busy hours, warning people not to get too close. Wednesday’s incident is believed to be the first time that someone has been killed as a result of jet blast at the airport. Sint Maarten, which is a country in the Kingdom of the Netherlands, is located on the island of Saint Martin. Sint Maarten, along with several other countries and municipalities of the Netherlands, are sometimes referred to as the Dutch Caribbean.